Alcatel has just unveiled the Alcatel POP 7 LTE, an entry-level Android tablet which will be exclusively sold by T-Mobile. If you're on the lookout for an Android slab that can replace (at least partially) your laptop, then the Alcatel POP 7 LTE isn't for you. 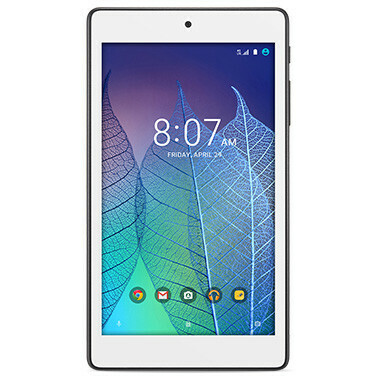 However, if you're looking for a cheap LTE-equipped Android tablet that can go through basic tasks, then POP 7 could be just what the doctor ordered. T-Mobile is selling the Alcatel POP 7 LTE at the price of $129.99, and you can also get the slab on an equipment installment plan for just $5.42 a month for 24 months. At that price, you're probably not expecting to see any impressive specs, but let's check out what the slab has to offer. The 7-inch display runs at a resolution of 1024 by 600 pixels, which squares out at a pixel density of 169.55 PPI, which is well below average. The processing power is drawn from a Qualcomm Snapdragon chipset with a quad-core processor paired with 1GB of RAM. Since Alcatel and T-Mobile do not disclose the exact chipset model, we're inclined to believe that an entry-level Snapdragon 400 or 410 is to be found under the hood. The Alcatel POP 7 LTE also comes with 8GB of onboard storage, but users can add up to 32GB of additional storage via the microSD card slot. In the camera department, the slab is equipped with 5MP primary camera and a 2MP secondary shooter. Other specs include a 3240mAh battery and 4G LTE support. Given that most entry-level Android devices use old versions of the operating system, it came as a pleasant surprise to learn that T-Mobile's POP 7 LTE ships with Android 6.0 Marshmallow on board. What do you guys think of the Alcatel POP 7 LTE? Can you think of a better LTE-equipped Android 6.0 Marshmallow tablet priced below the $150 mark? 129.99 is too expensive, should have been 79.99 at most. This thing ain't better than Sammy's Tab 4 7.0 released 2 years ago. That thing's LTE variant has Exynos3470+1.5GB+4000mAh and has one of the slimmest bezels for a tablet. It's priced around $100~150 in our region.